Like the rest of my face, the thinner patch of skin just under my eyes are really dry. Thanks to that, and because of my (nasal) allergies, at 27 I already have prominent dark circles and fine lines under my eyes which is why I have to be vigilant about keeping it moisturized and healthy on a daily basis to prevent it from worsening the older I get. Dry under eyes are actually a common problem for many people, and the problem only grows as you become older. We all know that we eventually get wrinkles as we age. This happens because our skin loses precious moisture, as well as the likes of collagen and elastin that keeps skin plump and youthful looking. Skin is skin, and the same happens underneath and around our eyes. In fact, since the area there is so much more sensitive and delicate compared to the rest of your face, your eyes are going to be one of the first to show signs of aging. In other words, your eyes deserve a lot of TLC. Today I thought I'd share the different products I use everyday, as well as some bits of advice, to show you the best ways to care for your eyes! Wash your face with warm or lukewarm water. If you live in a colder climate, there's nothing like a nice, hot bath to warm you up. But did you know that hot water can actually dry out your skin? This is especially true if you're the kind of person who likes to take long baths or showers. Whether you're bathing or washing your face, the heat from the water softens the oils on your skin and once you start to soap up, your skin's natural oil barrier gets stripped away. Using warm or lukewarm water prevents your natural oils from softening too much and being washed away. The skin around your eyes already loses moisture more easily due to how thin it is and using hot water will only speed up the process, so do your eyes a favor and lower that water temperature next time. Always prep your eyes with a serum or essence. Most people are happy to stick with just using an eye cream of choice, and that's totally fine, I like to make sure my eyes are extra hydrated and moisturized. After all, if I use more than one product to smoothen out and hydrate the rest of my face, why can't I do the same with my eyes? I recently purchased this Hadabisei Wrinkle Facial Serum (¥1,400) and so far I've been really liking it! As soon as it absorbs, my eyes instantly feel smoother and it's as if my skin took a nice, long drink of water. Not surprising since it contains "gold retinol EX", collagen, hyaluronic acid, royal jelly, ceramide, and more including "11 organic moisture ingredients". While this is actually a serum meant for the whole face, I like to use it to just 'spot treat' areas that are both really dry and most prone to showing signs of aging first, so that includes my eye area, around my mouth, and my forehead. Seal in the serum or essence with an eye cream. This is a very similar process to the one I use for my entire face before I go to sleep. After I apply a gel or cream to my face, I like to 'seal it in' by patting or smoothing on a facial oil on top once it's almost fully absorbed. Why? Because the oil creates a barrier and 'traps' in the moisture from your moisturizer and prevents it from dissipating. The same goes for my eyes, but this time I seal in the serum or essence I've applied beforehand with an eye cream or gel. I find that waiting until the serum or essence is at least half-absorbed is best. If you wait too long or until it's fully absorbed, there's less of that good ol' moisture and product to trap as some (if not most) has already dissipated into the air. 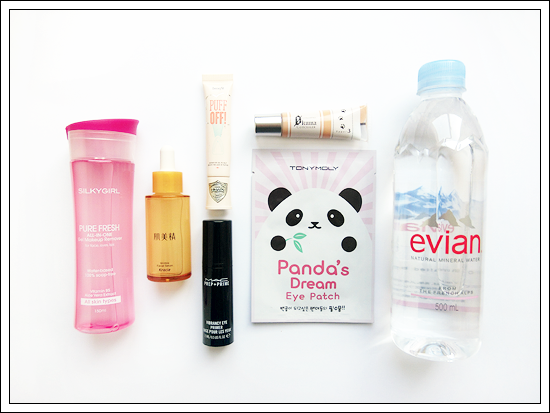 When removing makeup under your eyes, use a cleansing oil or other liquid makeup remover. I know how tempting it is to sometimes just grab a makeup wipe and use it to remove all the makeup on your face, including your eye makeup. The latter most likely involves a lot of tugging, rubbing, and stretching, particularly if you have on tough, waterproof eye makeup. Stop! All that violence on your eye area means you're going to irritate the already delicate skin there, plus it can cause the skin to thicken over time. Also, while it hasn't been proven that rubbing or tugging at your eyes directly causes premature wrinkles, don't take that as a free pass to continue assaulting your eyes. Leave the makeup wipe to take care of the rest of your face. When it comes to your eyes, use a gentle but effective makeup remover that's specifically meant for the eyes, or can be used on the eyes, like this Pure Fresh All-In-One Gel Makeup Remover from Silky Girl. Saturate a cotton pad with the remover and press it against your eye with just the right amount of pressure for about 10-20 to allow any makeup to dissolve or weaken, then with a light hand, start wiping and sweeping away what remains. If the makeup you have on is stubborn, you can start to rub back and forth, but keep it as gentle and as light as possible and try not to do it for too long. Another, and better, option is to grab a cleansing oil and massage it gently around and on the remaining eye makeup with your fingers. Continue massaging until it all eventually melts away then wipe clean with a tissue or rinse off with water! Water. It's one of mother nature's greatest beauty products and we always seem to forget to drink enough of it. 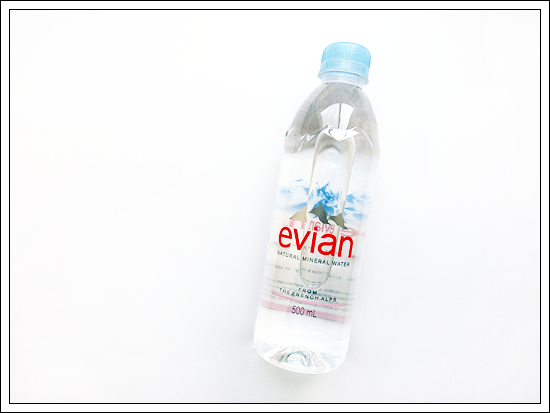 What a lot of people don't realize is that a lot of skin issues can be alleviated just by drinking more water! One reason why my skin used to flake so bad from dryness, at least more often than it does now, was simply because I was nearly dehydrated all the time. It's a bad habit I try not to get back into so I always make sure to drink as much as I can everyday. 8 full glasses at least. I've also started drinking less soda and juice and replacing it with water. I don't need to tell you that skin benefits a lot from you getting enough water in your diet, including that same skin around your eyes. It'll look less dull and dry and instead look and feel healthier and hydrated! Since water aids in plumping up skin, it can do the same for your eyes and make those fine lines diminish in appearance too. Treat yo' self (and yo' eyes). Eye masks or patches are a great way to treat your eyes while caring for them at the same time. Some people like to use them every now and then, others make do it on a more regular basis. Either way is fine and it's entirely up to you! 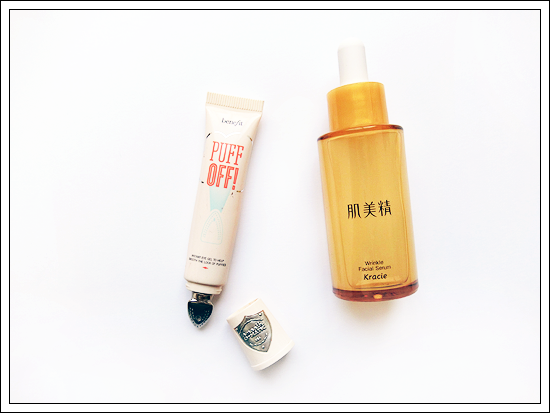 Different masks and patches have different benefits too and it's fun testing various ones out to find the one that's best for you. 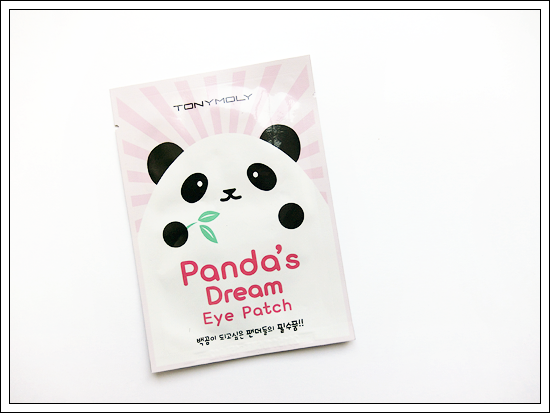 One of my favorites is the Panda's Dream Eye Patch from TONY MOLY. It helps to brighten and moisturize my dark, dry eyes, plus it covers the entire eye area, not just under your eyes. See me wearing it here. It's also super refreshing making it a quick relief for tired eyes. 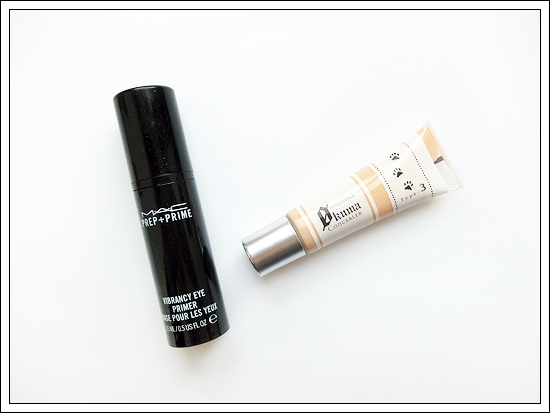 If you use a primer to prep your face for makeup, you can very well do the same for your eyes. It won't only help your eye makeup last longer, but it'll prevent it from getting inside the creases or lines underneath your eyes and just help your concealer, eyeshadow, eyeliner, etc. go on much more smoothly, especially if your general eye area is dry. I like to use MAC's Prep + Prime Vibrancy Eye Primer in conjunction with another primer, such as the 'Too Faced Shadow Insurance', both under my eyes and on the lids. I love silicone based primers like the Too Faced one best because they work most effectively for my oily lids by creating a barrier between the oil on your skin and the makeup. The same happens with a barrier being made between the lines underneath my eyes and the concealer I'm using so it helps stop any of it sinking into them. With MAC's Vibrancy Eye Primer, my eye area gets a boost of hydration and a hint of brightening. It's basically the primer for my primer! When it comes to my base makeup, like foundation or BB cream, there's a reason I stick to the ones in liquid form. Anything other than tends to highlight the drier areas of my face, no matter how much I moisturize or prep my skin prior. My eyes fare the same and I have yet to find a stick or cream concealer that won't highlight the dryness and lines under my eyes and just make it look like a hot mess. Enter one of my favorite concealers, the 0 Kuma Concealer from K-Palette in Type 3. Thanks to it being a liquid, I can easily pat it on and blend around my eye area to instantly mask any darkness and minimize the appearance of lines without tugging on my eyes and highlighting all the flaws and dryness. Its lasting power and coverage are good too! We wear sunscreen and use umbrellas to prevent the harmful UV rays from damaging our skin, right? While a lot of people do that, as they should, many don't seem to think their eyes need the same amount of protection when in fact it needs the most! According to this article from The Huffington Post, ""UV rays can cause your skin to age prematurely causing wrinkles, fine lines, scaly red patches, tough leathery skin and brown spots," says Lattman. "Research also shows that the sun's UV rays can contribute to various eye disease such as cataracts and macular degeneration. UV light on the eyelids can also lead to skin cancer."" To add to that, wearing sunglasses prevents repetitive and excessive squinting which can lead to wrinkles around the eyes. 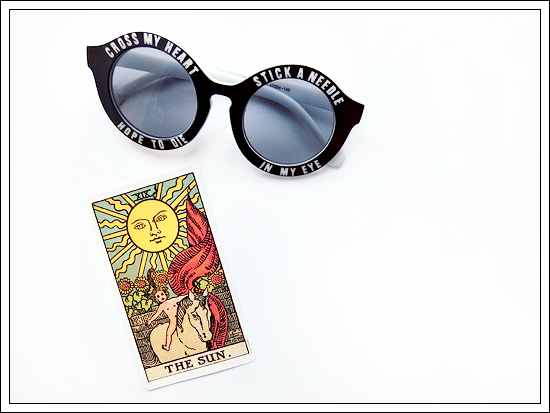 So not only will a good pair of shades protect your eyes, but you get style points too! I know this post was pretty long, but I hope you enjoyed reading it nonetheless and learned a little something about better taking care of your eye area and how important it is to do that! Also, if you guys want a full review of any of the products featured, let me know! I'll be happy to do it. Do you have any eye care tips and tricks? What do you do to care for your eyes? Share in the comments below!